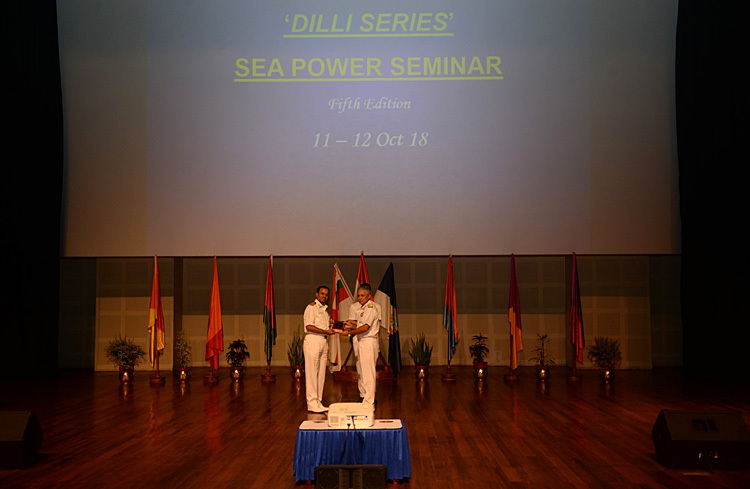 The fifth edition of the annual Dilli seminar on 'Geopolitical Impact of Sea Power' commenced this morning at the Indian Naval Academy (INA). The two day seminar is being attended by several serving senior Naval officers, eminent academicians and distinguished luminaries. Vice Admiral RB Pandit, AVSM, Commandant, INA delivered the opening address. The first session of day one named 'Sea Power and Colonisation', chaired by CmdeOdakkalJohnson, commenced with a presentation on 'The Battle of Diu' authored by Dr. Anupama Ghosh, and presented by VAdm Pradeep Chauhan, AVSM & Bar, VSM(Retd.) analysed naval battles in the decade following Vasco da Gama's arrival at Calicut and his voyages in the larger geo-politics of those times. The causes of the defeat of combined forces led by Zamorin and the impact it had in the history of India was also covered. The second paper was presented by Cdr Yogesh V Athawale on the subject 'Of Places and Bases – How Naval Strategy for Trade Protection Impacted Anglo – French Colonial Rivalry in the Indian Ocean'. 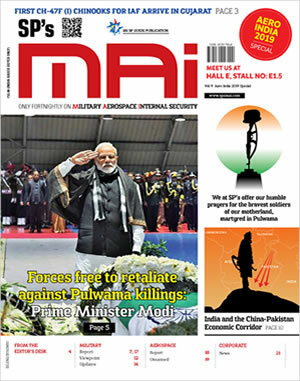 The officer, a specialist in Anti Submarine Warfare, is a regular contributor to professional publications and has been publishing in international and national journals. The paper traced back the background of Anglo- French rivalry, and touched upon its strategic, operational and tactical dimensions. 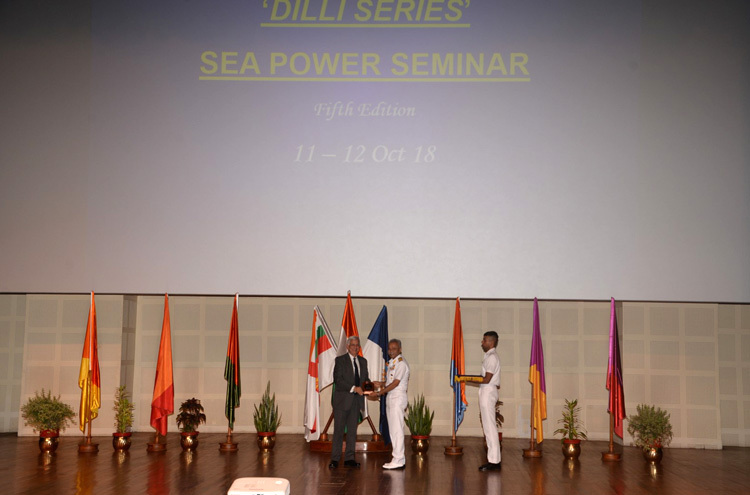 The salience of sea power in shaping up the strategy of colonial contestants and its decisive role in determining the outcome was also narrated in the course of the presentation. 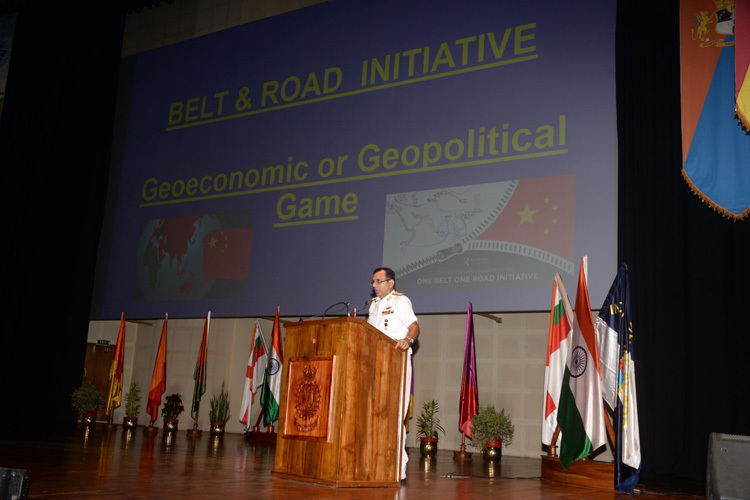 Session two of day one named 'China's Belt and Road Initiative' chaired by Cmde Sushant Dam, VSM commenced with a paper by RAdm Dhiren Vig, Addl. Director General, Project Seabird, on the subject 'One Belt One Road'. The paper discussed the Belt Road Initiative by China and its maritime dimensions. A paper on 'Assessing China's Engagement in India's Maritime Neighborhood' by Shri Nitin Pai, co-founder and director of Takshashila foundation, discussed possibilities of conceptualising change and uncertainty and derive what India must do to promote its national interests. Capt VC Mehra, Commanding Officer, INS Ranjit delivered his paper on the topic 'Chinese Sea Power and the Belt and Road Initiative: A Mahanian Blueprint to Colonisation in the 21st Century'. The paper highlighted certain elements that are essential for developing sea power according to the book Mahan and the manner in which China is applying it. On the concluding day of the two day seminar (tomorrow, Friday, 12 October 2018), four papers will be presented. These include 'Gunboat Diplomacy: Emerging Players and Associated Challenges in the Indo Pacific Region' by cadets of INA, 'Gun boat Diplomacy'byVAdm Pradeep Chauhan, AVSM & Bar, VSM (Retd.) and Cmde G Prakash, and 'Sea Power in the IOR' by Cdr P Ratheesh. 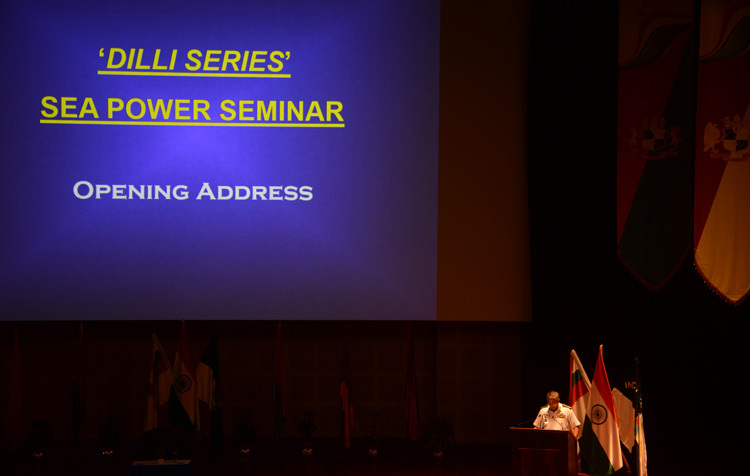 VAdm RB Pandit, AVSM, Commandant, INA delivering the opening address for Dilli Series Seapower Seminar – 2018. 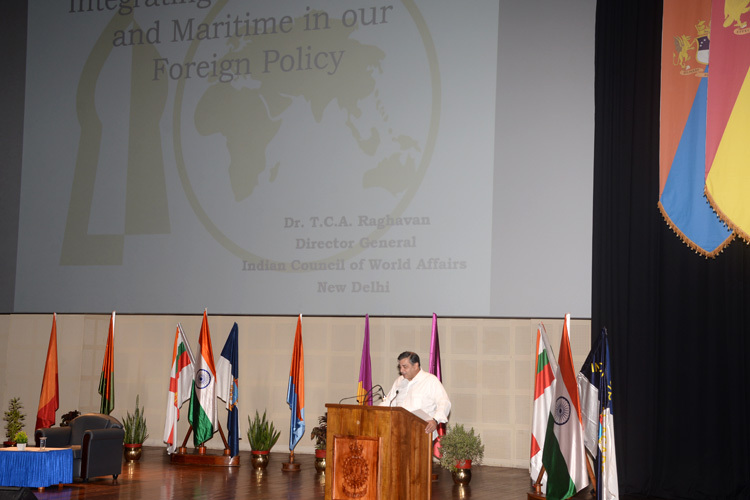 Dr. TCA Raghavan delivering the 'Dilli Invitational Talk' on the topic 'Integrating the Continental and the Maritime in our Foreign and Strategic Policies'. 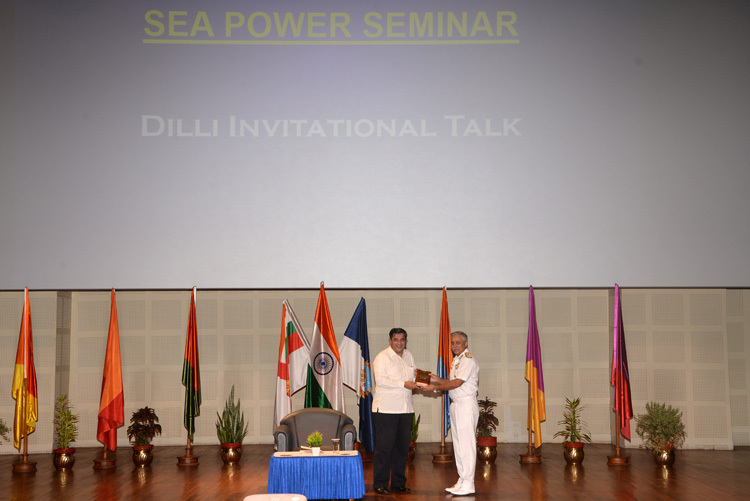 VAdm RB Pandit, AVSM, Commandant, INA presenting the Dilli Series Seapower Seminar plaque to Dr. TCA Raghavan – Dilli invitational speaker. VAdm Pradeep Chauhan, AVSM & Bar, VSM (Retd. 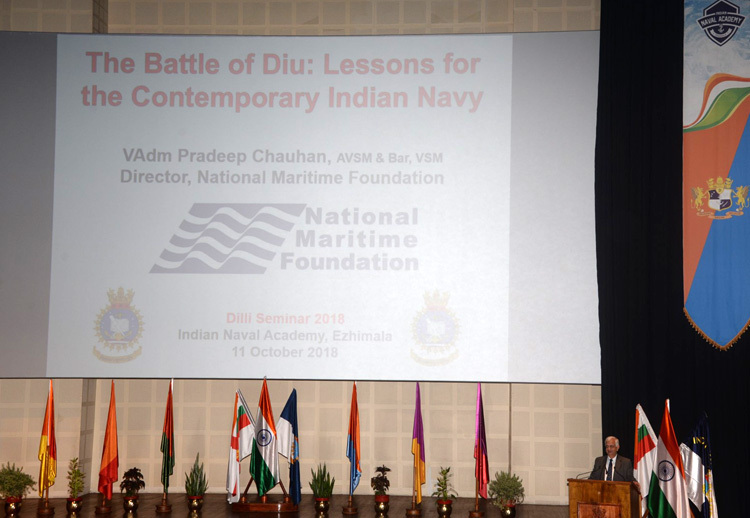 ), Director, National Maritime Foundation, New Delhi delivering the talk on 'Battle of Diu'. Cmde O Johnson, Chairperson presenting the Dilli Series Seapower Seminar plaque to VAdm Pradeep Chauhan, AVSM & Bar, VSM (Retd.). VAdm Pradeep Chauhan, AVSM & Bar, VSM (Retd.) 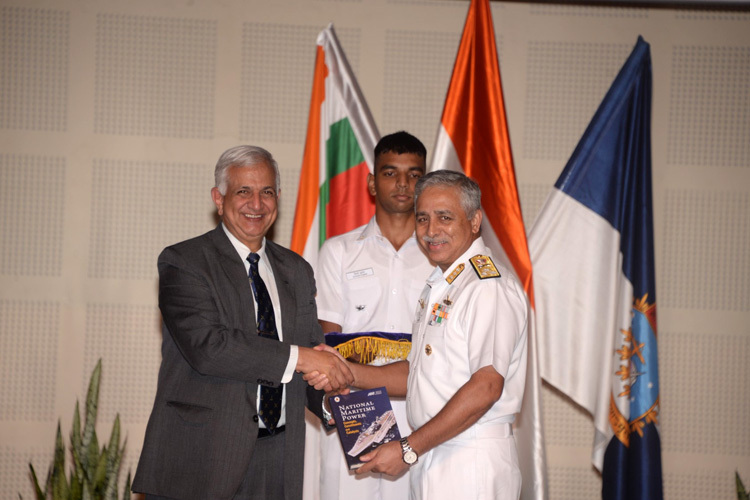 presenting the book "National Maritime Power" to VAdm RB Pandit, AVSM, Commandant, INA. 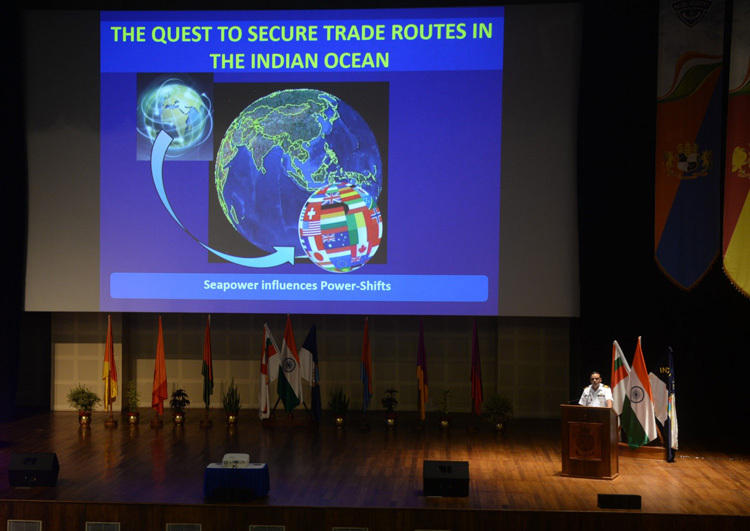 Cdr Yogesh V Athawale delivering the talk on topic "Of Places and Bases – How Naval Strategy for Trade Protection Impacted Anglo – French Colonial Rivalry in the Indian Ocean"
RAdm Dhiren Vig, Addl. Director General, Project Seabird, delivering the talk on the subject 'One Belt One Road'. 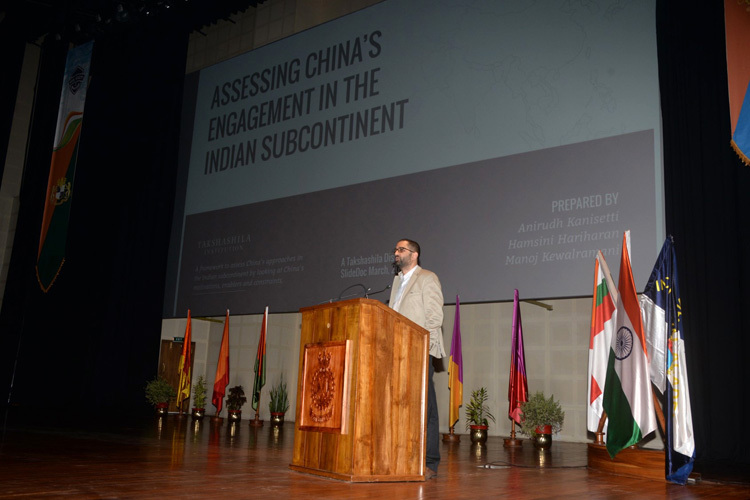 Shri Nitin Pai, co-founder and director of Takshashila foundation, delivering a talk on Assessing China's Engagement in India's Maritime Neighborhood. 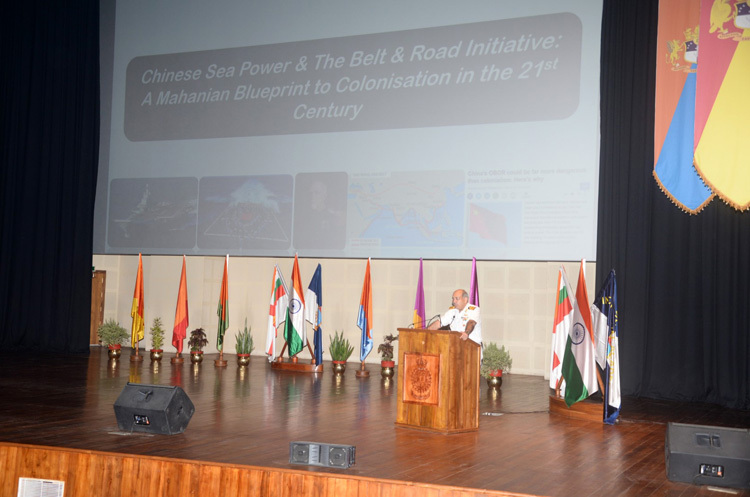 Capt VC Mehra, delivering talk on the topic 'Chinese Sea Power and the Belt and Road Initiative: A Mahanian Blueprint to Colonisation in the 21st Century'.